The idea of Social Street originates from the experience of the Facebook group ‘Residents in Fondazza street ‘, started in September 2013 in the city of Bologna. A resident in Fondazza Street, Federico Bastiani realized to know few people in his neighbourhood and no one with children to contact to play with his son Matteo. Hence, he decided to open a Facebook group by promoting it with some leaflets along the street. After 3 months, neighbours joining the Facebook group were more than 500. > Socialization – many events organized by the Social Street become a good occasion for socialization: from breakfast to dinner, from movies to exhibitions, from sharing to swapping, there are many possible evolutions that can bring positive implications to the whole local community. > Daily issues – the Social Street makes possible to get in touch with neighbours, facilitating the solutions of daily problems just asking advice (who is the nearest doctor? how to find a house cleaner? how to find a babysitter? etc.) and thus just benefiting from the power of the word-of-mouth among neighbours. 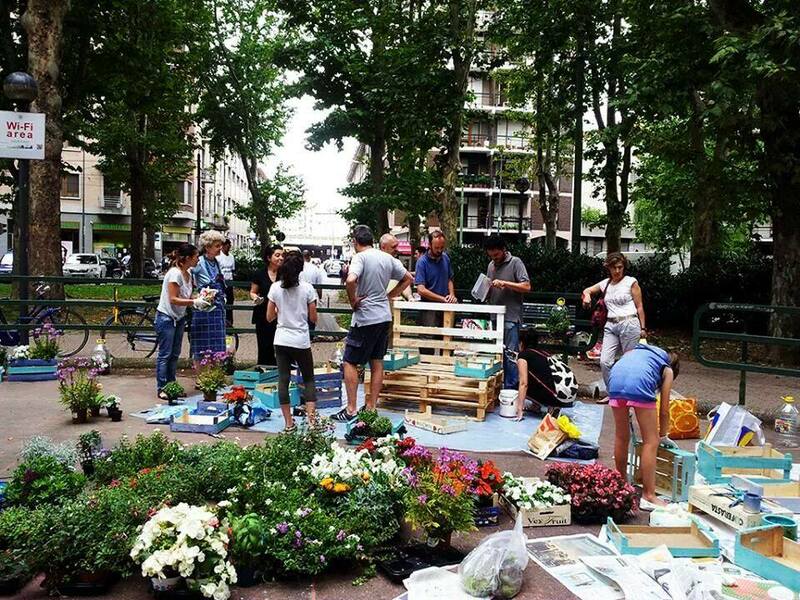 > Care and regeneration of urban commons – one example is street cleaning or public parks maintenance, especially when there is a lack of efficiency on the part of the municipality. All this range of activities is performed in a free way at two levels: “as internal trade (exclusion of do ut des) but also as macro structure being Social Street as a model is absolutely free” . The key-players are residents living in the same street: they are at the same time promoters and beneficiaries of the initiative. They essentially play the same range of roles: they both organize and enjoy activities. What is interesting is that roles are not fixed: anyone can set up an event and anyone can just decide to participate without contributing in the organization. Roles are flexible and opened to renegotiation. The Social Street is a spontaneous phenomenon that originated just using social networks, without (apparently) using any kind of design. > Communication design: in a way the Social Street develops a sort of ‘territorial communication campaign’, both digital and physical, by using social media and flyers and posters directly on the spot (in the streets, bars, condominium receptions etc.). > Public space design: in the organization of events, in the care and regeneration of urban commons it is possible to notice a form of ‘spontaneous and unplanned’ public space design, which is developed by residents that may have (or not) some design/architecture skills. Sometimes there is the ‘official involvement’ of a professional, in general just because he/she is a resident interested in local initiatives. > Design for services: many activities run by the Social Street may be viewed as actual ‘collaborative services’ (sharing objects and skills, micro-nurseries, forms of car-pooling etc.) and residents become ‘implicit service designers’, attempting at creating activities that may transform into efficient and effective neighbourhood services.